The Crayola Experience and Factory Tour is located in Easton Pennsylvania. They are open year-round, rain or shine although their hours of operation will vary depending on the season. When visiting, you will want to allow a minimum of 2 1/2 hours in your schedule so that you can experience everything that they have to offer. You can purchase tickets online or by them at the door. To save time, we purchased our tickets online which also gives you a little bit of a discount. They offer group rates and seasonal passes too! Looking to stay overnight? 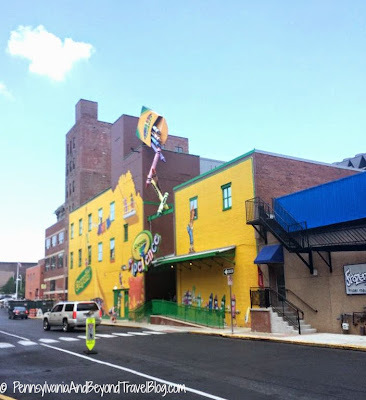 There are numerous hotels in the Lehigh Valley where you can stay and there are a lot of restaurants and pizza shops nearby. 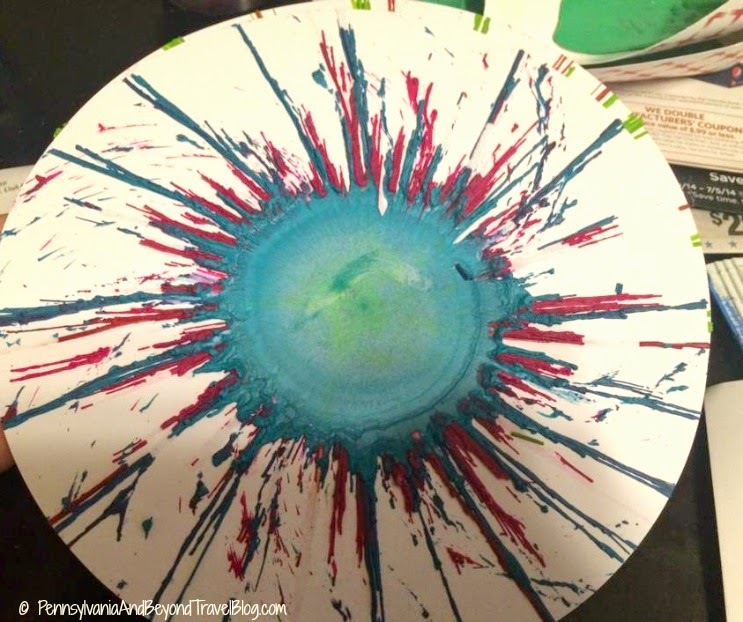 There are 25 attractions that that kids can explore their creative sides. 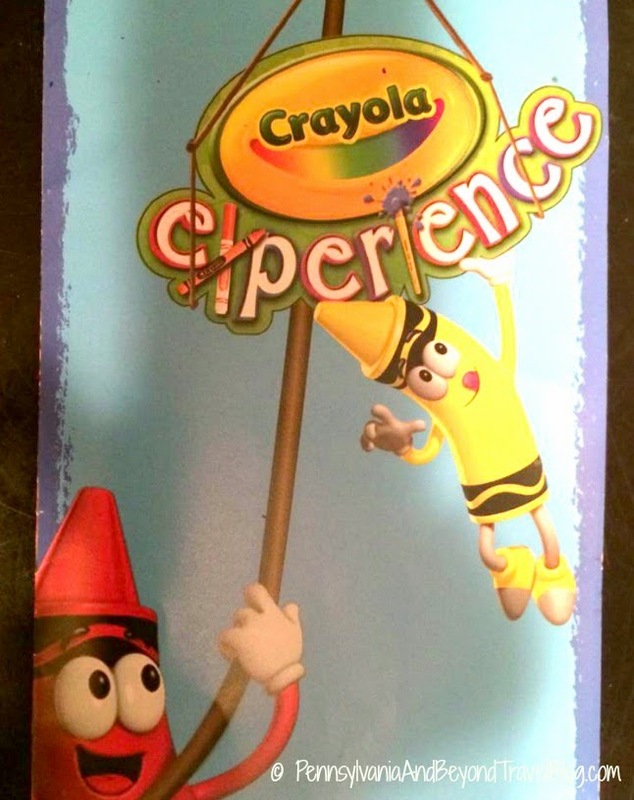 You and your child can color, make colorful drip art, build a custom marker, dabble in animation, watch how Crayola Crayons are made in the theater, create your own custom crayon labels and so much more! Participating in all of these activities and attractions are a great way to bond with your children. The experience is housed in a nice sized four story building. All of the different attractions are well-marked and there are bathrooms on every floor. When we visited the kids had a great time! They both loved the drip art, melt & mold your own crayon, the marker mania and they really enjoyed playing on the color playground! 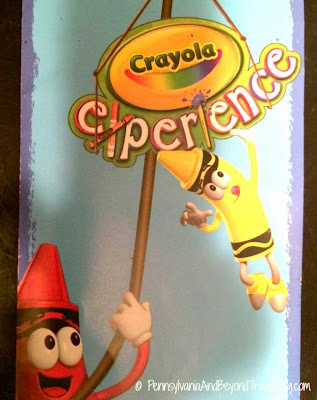 Once you are all done with your activities you can visit the Crayola Store (gift shop) on the first floor for some souvenirs and gifts. I thought the majority of their prices were reasonable and not over the top like most other gift shops & souvenir stores. Overall...we had a really nice time and glad that we went.You can learn more about the Crayola Experience and factory tour in Easton Pennsylvania by visiting their website online. I never realized how many different sights and activities were available in Pennsylvania. 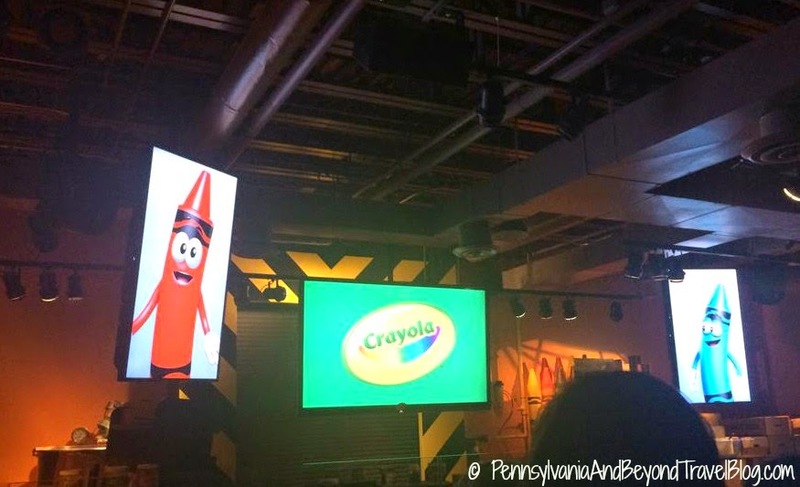 The Crayola Experience in Easton really is an experience for both adults and children.